Most orders are shipped in 1-2 business days. 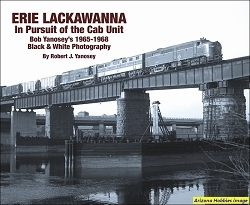 Former Erie Lackawanna employee Timko completes the coverage of this railfan favorite road starting with U33C #3301 and ending with former passenger-equipped F3A #8454. 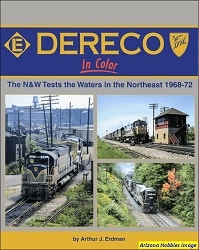 Coverage includes the U36C and the New Jersey-owned U34CH units, EMD SD45, SDP45 and SD45-2’s. Completing the coverage of this fallen flag are the FTs, F3s and F7s, as well as the ALCO 1500 and 1600 horsepower A's and B's. Morning Sun Books, hardcover with dust jacket, 128 pages, 11 x 8.5 x .5 in., all Color photographs. 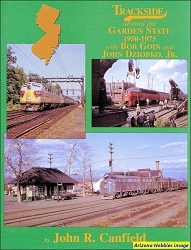 Trackside Around the Garden State 1950-1975 with Bob Goin and John Dziobko, Jr.
Why Shop with Arizona Hobbies? Copyright Arizona Hobbies. All Rights Reserved. by 3DCart eCommerce Website design.